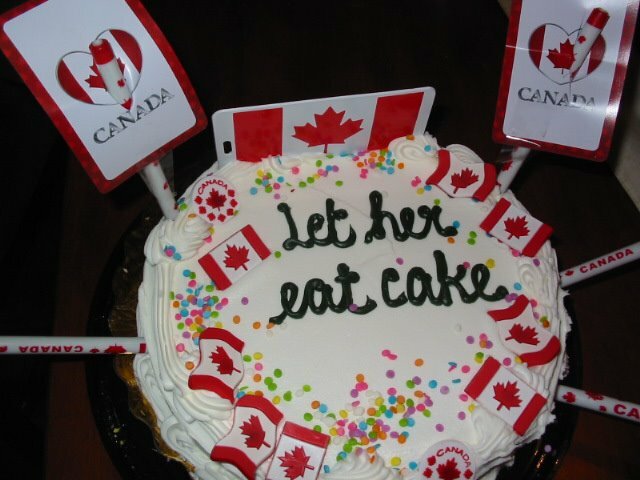 Along with the Old Age Security issue, we might as well ask her why Diane Findlay is dismantling EI, I’m giving the representative a taste of the cake we’re delivering to the rest of the Conservatives in Ottawa! Syd Ryan, president of Federation of Labours Ontario, is organizing this event with local activists across the nation. I have been asked to take part. I will be there with friends. Please spread the word to your friends and neighbours and come out to this event to fight against Harper Conservatives plan to raise the OAS from age 65 to 67. Bring your voice and make signs. Many people will have to work 2 more years in order to be able to retire. I think the Conservatives should cancel the 39 Billion fighter jets and more billions on mega prisons to balance the budget.